Well, maybe that was the third strike on that short form, after asking about religion and after refusing to acknowledge the existence of apostrophes. Then, I recently saw a picture on Mommy Man: Adventures of a Gay Superdad, which reminded me of my old post, and can also be seen as a good reminder of what daily life is like for people who truly are discriminated against in society. Maybe one day forms like these two will be a part of history. Until then, keep on fighting the good fight, dads. Gay dads, straight dads, working dads, stay-at-home-dads, and all other involved dads: one step at a time. 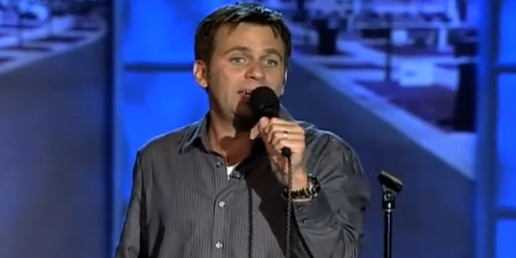 "He's Gonna Kill Us All"
Comic John Heffron talks about his dad's parenting techniques: "We all thought he would kill us at any time." First, a recap of the first three episodes. 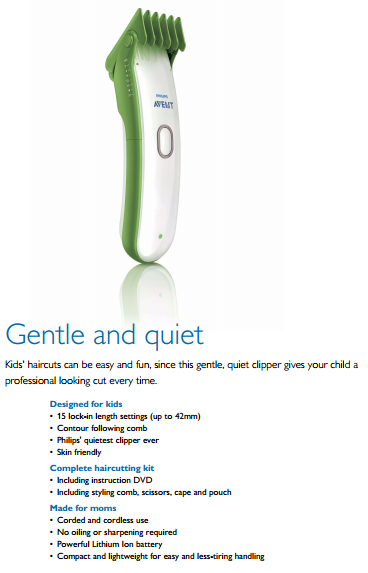 Six months ago, I noticed Philips Norelco's only parenting item, a kids' hair clipper, was marketed as "Designed for Kids, Made for Moms." 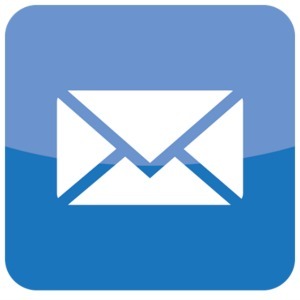 I contacted Philips, they promised a call back, and after waiting a month for a call that never came, I started writing. The first post, Philips Norelco: Parenting is No Place for Men, showed the way Philips Norelco completely ignored fatherhood. 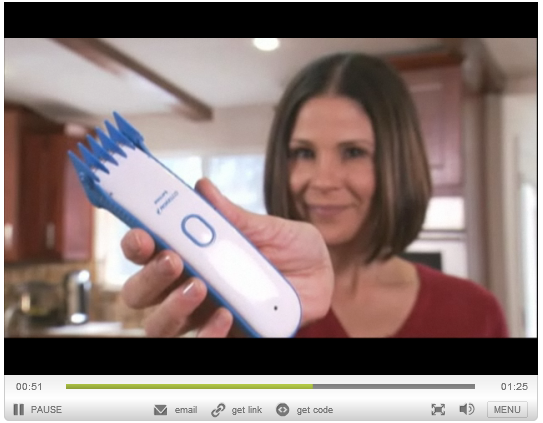 Not only was the one parenting item marketed solely at moms, but all the instructional videos featured various "supermoms." Philips Norelco marketed body grooming for men, and parenting for women. A week later, I wrote my second post, after noticing a trend with Philips. Philips Norelco 2: Now With More Offensive Marketing!!! was mostly about another Philips label: Philips Avent. When you go to the Philips site, there's a Personal Care tab, which features men (except for the supermoms in charge of the children). Next to it is the child-care section, titled, "Mother and Child Care." Each of the products sold by Philips Avent is marketed specifically for moms. From feeding bottles to baby monitors, the Avent site--in fact the entire Philips site, with its numerous labels and brands--does not mention dads once. In my favorite section, the Avent tips for users, one tip suggests mom ask a neighbor for help with the child, so she could get some time to relax by doing some gardening. I assume even here there's no mention of dad because he's too busy shaving his armpits to help with the kids. The third post was a surprise. 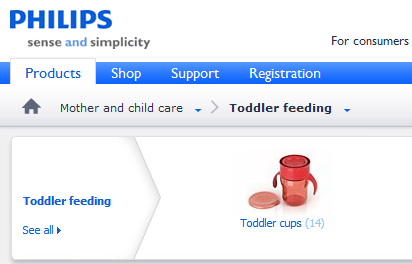 Without alerting me or the guys at 8bitdad (who also sent many emails to Philips and wrote about it on their blog), Philips Norelco quietly changed the item description from Made for Moms to Made for Parents. 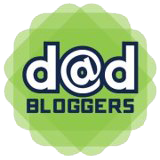 Well, it would have been a victory if not for the latest disingenuous campaign by Norelco: A group of blogging dads is writing sponsored posts and filming videos about the New Face of Dad. There will be a Twitter party celebrating the new dad. Even. But is there anything behind it? While celebrating dads, does Philips actually celebrate fatherhood as well? While the description for the kids' hair clippers changed on the Philips website, it didn't change on Amazon. The description written by Philips still refers to the clippers as "Made for Mom." Moreover, it's still described as "Made for women's hands." Because, as we all know, all women's hands are tiny and delicate. 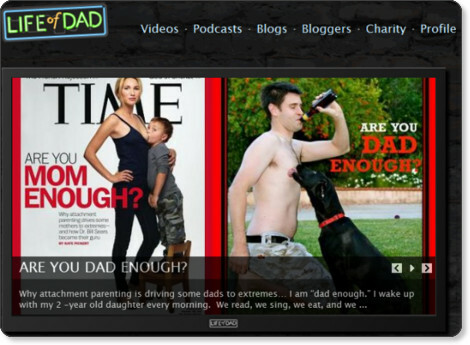 The single parenting item by a company that purports to celebrate dads, is marketed solely for moms. 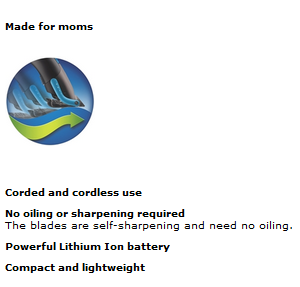 Even while Philips changed the description on their site, what looks like a later model of the clippers is still described as "Made for Moms" on the site. Philips Norelco, which celebrates dads with sponsored posts and Twitter parties, is part of the same company that markets its entire catalog of child-care items as "Mother and Child Care." Which would have been fine if they didn't decide to jump on the "Dads are Awesome" bandwagon. Really, I moved on. But they keep pulling me back. Him: "Norelco is making great strides. 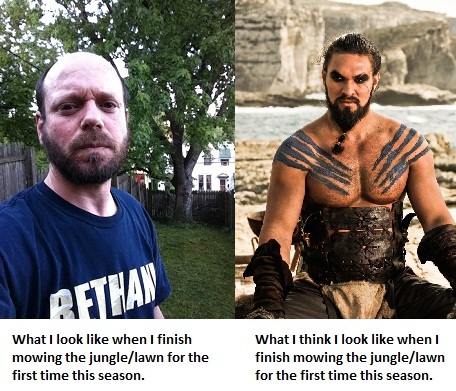 We take it seriously." Me: "Great, but while you come up with a new marketing campaign that taps into this cool niche, especially after the Huggies mess, the fact is the Norelco has a single product for parents, and it's being marketed as 'Made for moms.' At the same time, Norelco is part of Philips, which has a child care section called 'Mother & Child Care,' which completely ignores fatherhood." Him: "Yes, but look at the videos we have planned. They're great." Me: "They're disingenuous! It's all marketing with nothing behind it!" It went on like that for about half-an-hour, but really, he had nothing to offer as a concrete plan for change, because he knew he was unable to offer change, and because he knew he could get away with saying basically nothing. Sure, there will be a nice set of YouTubes talking about The New Face of Dad, and a few more Facebook Likes for Norelco, since all sponsored posts linked to their Facebook page, and a week later we'll look back and think we've really achieved something. "Here's yet another brand that 'gets it,'" we'll say. "They know dads are important! Hear us roar!" And like the kittens that we are, we'll watch Philips continue to ignore fatherhood while "celebrating fathers," and we'll say, "Hey, it's just marketing!" What's Wrong With "Mr. Mom"? It's easy to say what's wrong with the term itself. It's sexist, because it assumes home is a woman's natural domain. Also, even if it's not always the intention of people who throw this phrase at stay-at-home-dads, the consequence is that it emasculates these dads by questioning/threatening their gender identities (although I'll admit it might be more relevant in cases of new at-home dads who are still sensitive and still very much confused about finding themselves in a situation society didn't prepare them for). In addition, it doesn't only affect current stay-at-home-dads, but those who contemplate staying home when their babies are born, but are afraid it might damage their masculinity. See, that was simple. Calling someone "Mr. Mom" is bad and it's wrong. Fortunately, there's a better phrase to use: "Mr. Dad." 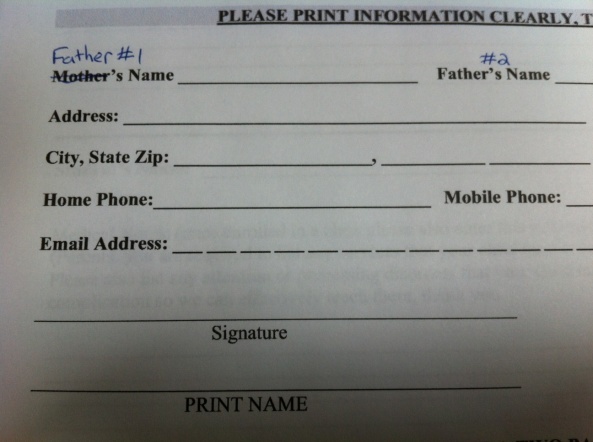 Or "Dad." Calling someone Dad doesn't mean he goes out in the morning and comes back in the evening with the promise of a paycheck two weeks later, but that he's a man, and he has kids. See, "Mr. Mom" users? And you thought you ran out of options! So that's easy enough, but what about the movie? What's so wrong with Mr. Mom? Actually, the answer is "Nothing much," for the majority of the movie. After all, for the most part, it's a fun little movie about a loving dad who finds himself in a new situation, and copes with it to the best of his ability. He's bumbling, sure, but that makes complete sense. I never babysitted when I was a kid. I never changed a diaper before I had a baby. Hey, I never even held a baby before I had a baby. So why would I know what to do with one? The Michael Keaton character in the movie had been taught men worked for money and women raised kids, so how is he supposed to know the first thing about his kids? It's not his fault he didn't have a clue, and it's not the filmmakers' fault that their character was realistic. In the background of the movie, though, there's always an ideological point. There's a moral to the Mr. Mom story, and little by little we advance toward the inevitable conclusion at the same time the characters themselves reach it: There's a natural order in the universe, and for everything there is a place. Although Mr. Mom is becoming a great stay-at-home-dad, and although his wife's career is quickly taking off, the natural order of the world will be maintained by the end of the movie. Mr. Mom goes back to work, while his wife goes back home. No longer will they have to fight the sexual advances of the people who inhabit the right side of the gender-sphere (the locals, let's say), because now Dad is back at the dad-world of work, and mom is back home. And it's a shame, because it's a funny movie with a familiar shtick and likable characters. 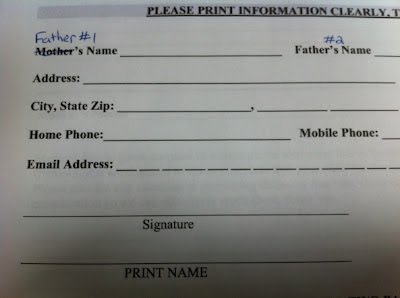 And after all, it's not the movie's fault that thirty years later people still think it's acceptable to call dads, "Mr. Mom," because they inhabit the perceived wrong side of the gender-sphere. Unfortunately, the very end of the movie makes it inexcusable. We have a man who spends 90% of the movie learning that a real man must do what needs to be done, rather than what society expects him to do. And then he forgets it, because really, a man staying home with kids is a great comedic setup, but once the comedy is done, it's time to go back to work. Life of Dad has always had a lot to offer, but now, with the guest posts, featured interviews, and members' "man caves," Life of Dad is quickly becoming a real community for fathers.